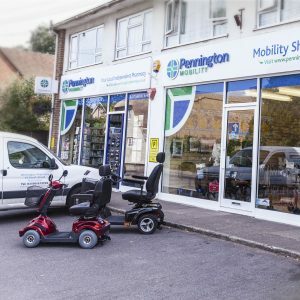 An award winning rollator this fabulous, modern design will cover most peoples needs. Made in Norway to an excellent standard this aluminium rollator is easy to fold and requires little space to store. 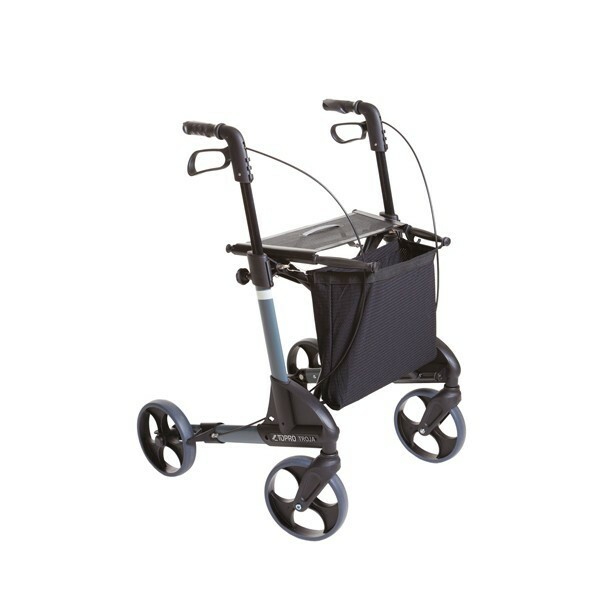 TOPRO TROJA Classic ROLLATORS: An easy to fold walking aid requiring little space when stored. Modern, elegant, practical and light weight. This well designed rollator has a whole list of great features. Pull the cord on the seat and the rollator folds horizontally. Height adjustable handlebars which push down easily into the sidebars for easy transport with unique memory function to easily reset the handles back to the correct position. Stands securely on its wheels when folded. Takes little space and is easy to transport. Excellent brakes, kerb lifter and edge guards make negotiating kerbs and thresholds easy. 20cm wheels providing excellent driving comfort. Plastic coated aluminium tubes. Comes with shopping bag and backrest included. All wear and tear parts can be replaced. Many accessories available including a ONE HAND braking system. Comes with seven year manufacturers warranty on frame. Extra Small size has a seat height of 50cm (19.5″) and is suitable for users of 125-160cm (4’1-5’3) height. Small size has a seat height of 54cm (21.2″) and is suitable for users of 135-170cm (4’5-5’7) height. Medium size has a seat height of 62cm (24.5″) and is suitable for users of 150-200cm (4’11-6’7) height. Extra Small and Small only available in Silver, Medium size available in choice of four colours.